Throughout the work, dancers crawl through, rearrange, sift, and throw 200 pounds of red rubber mulch, constantly delineating space then destroying it and moving on. They claim, shift, then reclaim place, sometimes out of the necessity, sometimes frustration. 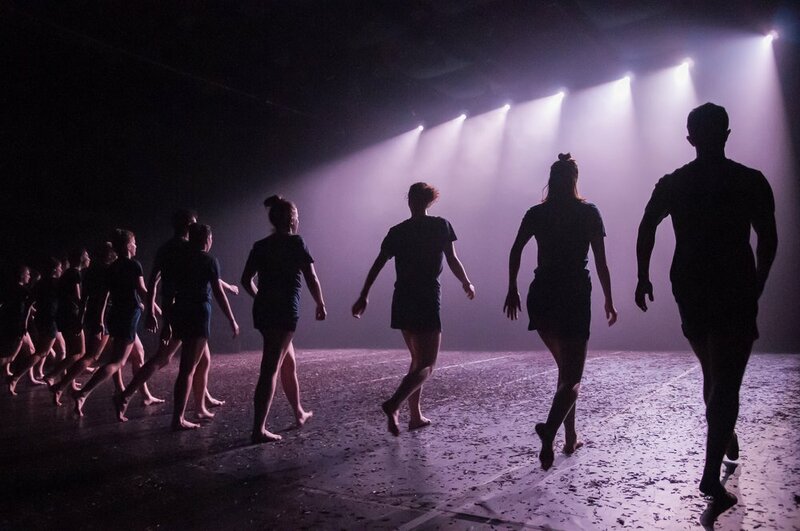 Performed in the round at Emory University's Performing Arts Studio, Moat invites viewers into a natural, messy, and constantly evolving world. In a parallel motif, the work raises questions of self-protection; what is the difference between insulation and isolation? When a drastic event or change forces us to construct a protective shell, what are the consequences? Barriers shut out negative outcomes but they also hold those inside prisoner. It becomes as hard to get out as it is to let people in.